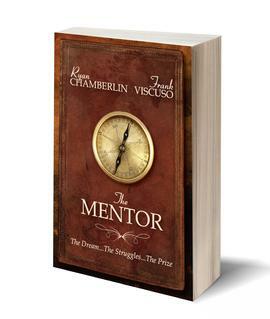 The Mentor is a gripping story that chronicles the journey of Michael Harper, a young man who has been struggling for years both personally and financially. After a chance meeting at his father's funeral, Michael decides to make a phone call to Blake Easton, an acquaintance of his father who also happens to be a high school dropout turned multi-millionaire, with the hope of improving his family’s life. After Blake agrees to mentor him, the story follows Michael through his journey as an entrepreneur. The Mentor addresses the most common obstacles and concerns that people encounter in the direct selling industry, like a non-supporting spouse, a fear of the phone, and self-doubt that is the result of a lifetime of negative thinking. Michael quickly finds out that entrepreneurship is born out of frustration. The story provides answers to the most common objections people in the direct selling industry face. As compelling as the story is, you will soon recognize that the Mentor can be used as a manual to help guide you through the same challenges that cripple many people within the industry.